This Quality , Affordable SPARKLE Treat Bag is the Answer to your Obedience Training and exercising of your Pet. This Pet Homes Treat Pouch comes with 1 storage areas. 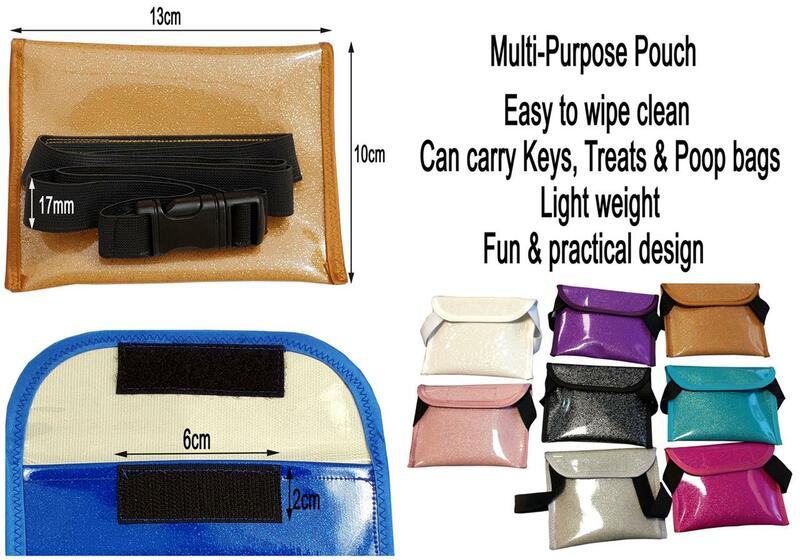 Vinyl Pouch area can be used to store Treats withe the added Sound Of Velcro. So Your Pet will keep its eyes on you while training. - Do not Machine wash, Recommend Hand Wipe Clean Only .